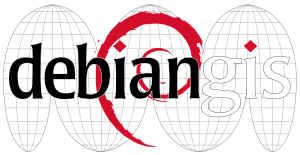 Debian packages which are dealing with geographical information to be presented for the web on so called map tile servers. These are pretty useful when trying to setup an OpenStreetMap tile server but not restricted to OpenStreetMap data only. This package contains the mapserv CGI program. It provides the MapServer template language, and can be used to implement Web Map Service applications. This is the MapCache module for the Apache web server implementing OGC web services. An alternative mapcache FastCGI program is available in mapcache-cgi. This package provides command-line utilities for MapCache. This package provides command-line utilities for MapServer. Python MapScript provides MapServer functions for Python scripts. OWSLib provides a common API for accessing service metadata and wrappers for numerous OGC Web Service interfaces. This metapackage depends on the pywps Python module and WSGI example. This package contains the QGIS server. twms is a WMS/TMS server for exporting your map tiles to WMS-enabled applications. twms can export a set of raster tiles as a WMS service so GIS applications that support WMS protocol can access this tile set. Also, twms can act as a proxy and perform WMS requests to external services and serve the tile cache to WMS and TMS clients. This package contains the mapcache FastCGI program, as alternative to the Apache module available in libapache2-mod-mapcache. This package contains the PHP bindings for GEOS. pycsw is an OGC CSW server implementation written in Python. pycsw fully implements the OpenGIS Catalogue Service Implementation Specification (Catalogue Service for the Web). Initial development started in 2010 (more formally announced in 2011). The project is certified OGC Compliant, and is an OGC Reference Implementation. Since 2015, pycsw is an official OSGeo Project. pycsw allows for the publishing and discovery of geospatial metadata via numerous APIs (CSW 2/CSW 3, OpenSearch, OAI-PMH, SRU). Existing repositories of geospatial metadata can also be exposed, providing a standards-based metadata and catalogue component of spatial data infrastructures. pycsw is Open Source, released under an MIT license, and runs on all major platforms (Windows, Linux, Mac OS X). This package contains the pycsw-admin utility and configuration files. TinyOWS is a lightweight and fast implementation of the OGC WFS-T specification. Web Feature Service (WFS) allows querying and retrieval of features. The transactional profile (WFS-T) allows inserting, updating or deleting such features. From a technical point of view WFS-T is a Web Service API in front of a spatial database. TinyOWS is deeply tied to PostgreSQL/PostGIS because of this. TinyOWS implements strictly OGC standards and pass successfully all WFS OGC CITE tests (and even beta ones). TinyOWS is part of MapServer Suite, but provided as a distinct module (i.e you could use it in conjunction with MapServer and MapCache, or as a standalone app). But both MapServer and TinyOWS could use the same configuration file, if you want to (or native TinyOWS XML config file). PHP MapScript provides MapServer functions for PHP scripts. This package provides the traditional MapScript for PHP. Tilemill is a map design studio for creating custom interactive maps. Data can be imported, layered and styled, and legends added to the map. The map can be exported to several formats and easily embedded into a website. Compatible datasources include ESRI Shapefile, KML, GeoJSON, GeoTIFF, PostGIS, CSV, and SQLite. For styling the maps, TileMill uses a language called CartoCSS. Colors, sizes, and shapes can all be manipulated by applying their relative CartoCS parameters. It is possible to export pannable, zoomable maps, and static maps in PNG, PDF, and SVG format. For advanced users, it is possible to export in Mapnik XML format, and exports can be scripted from the command line.